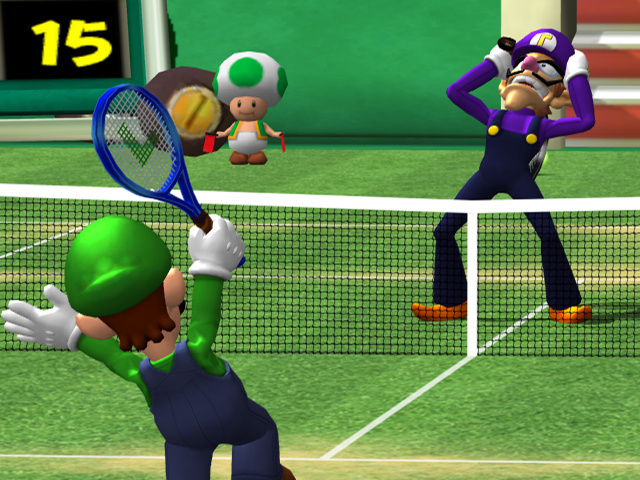 Sorry, no review of Mario Power Tennis yet. 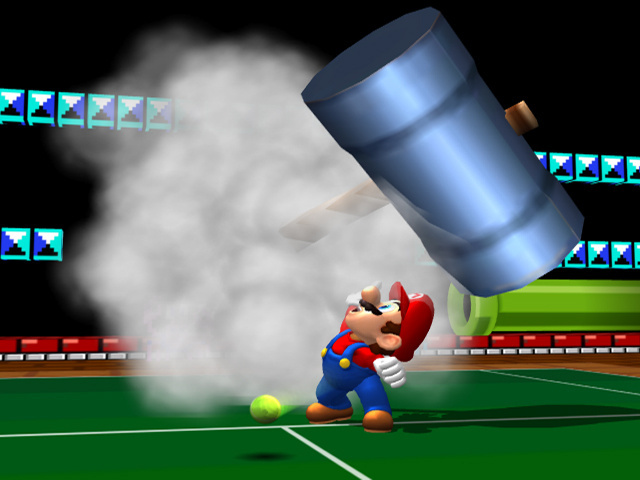 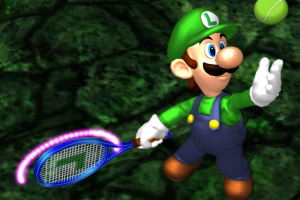 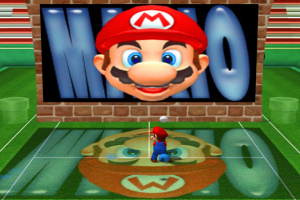 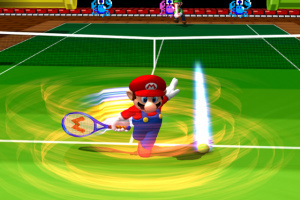 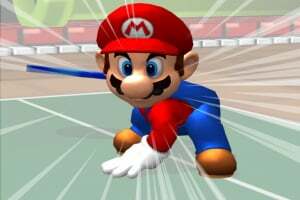 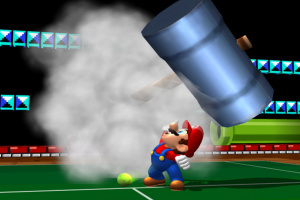 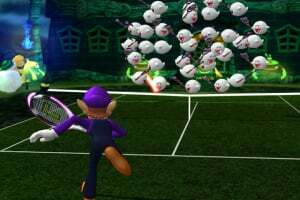 The world's number one plumber is back and this time it will be Game, Set and Match to Mario as he volleys onto the Nintendo GameCube in Mario Power Tennis on 25th February 2005. 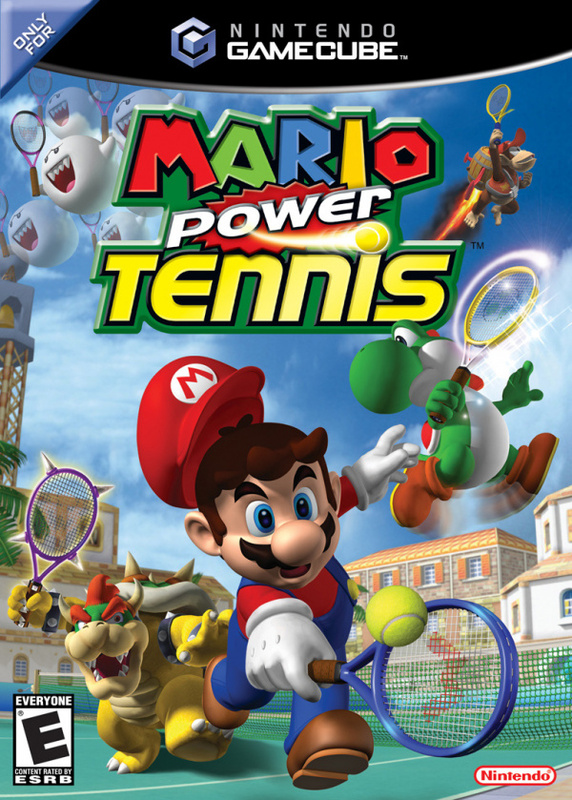 Mario Power Tennis is an arcade style tennis game giving players a chance to hit the courts as one of their favourite Nintendo characters, including all time greats like Mario, Luigi, Princess Peach and Donkey Kong. 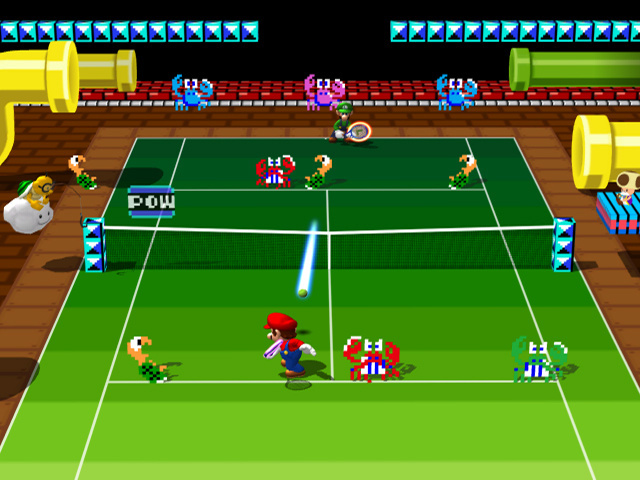 Players are spoilt for choice with a starting line-up of 14 characters to choose from and over 8 different courts to play on. 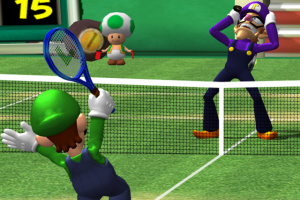 This is a great pick-up-and-play game that players of all ages will love. 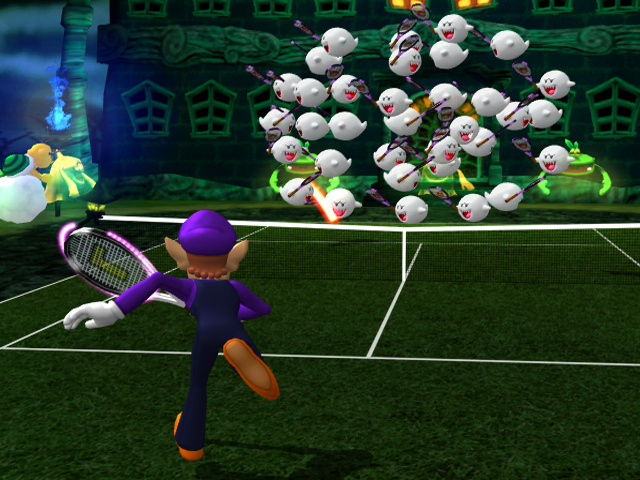 Tennis tournaments will never be the same again! 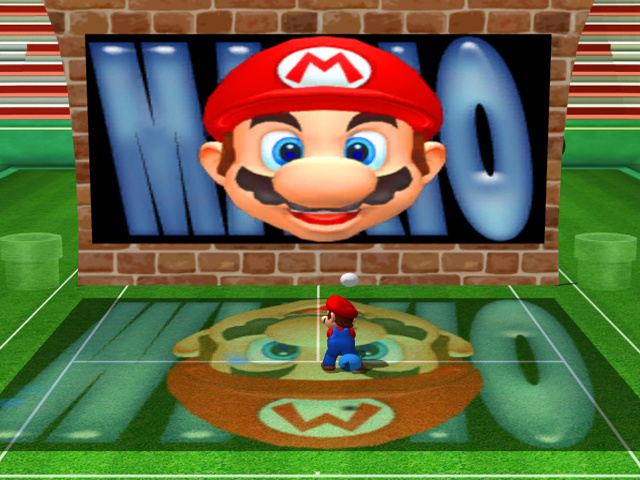 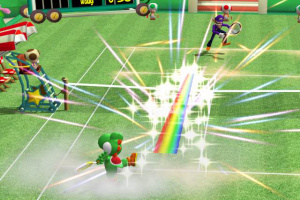 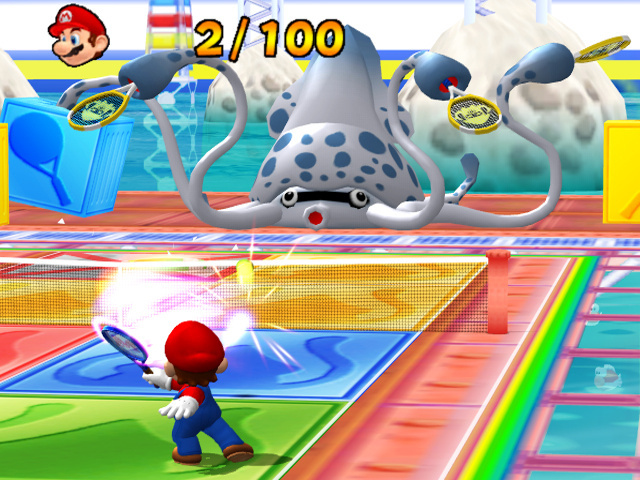 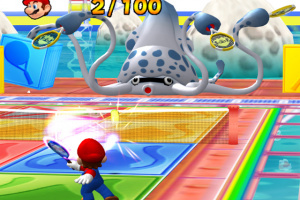 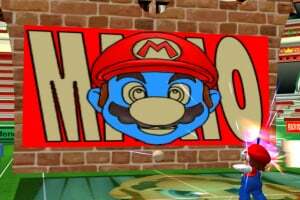 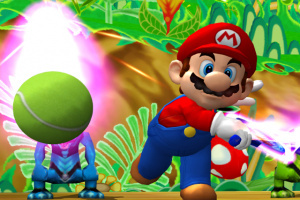 In Mario Power Tennis players battle it out on a selection of wacky themed courts. 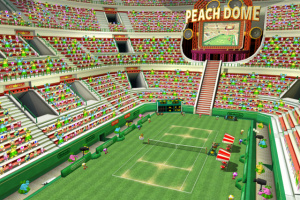 These range from a huge stadium in Princess Peach's castle, to Wario's Factory Court featuring all sorts of mechanical mayhem created by Wario himself, to a suspended DK Jungle Court in the heart of the jungle. 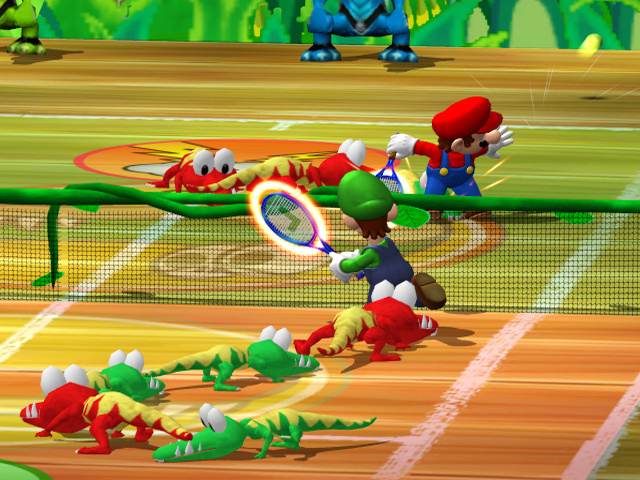 The craziness doesn't end there either as each court has its very own hazards to avoid. 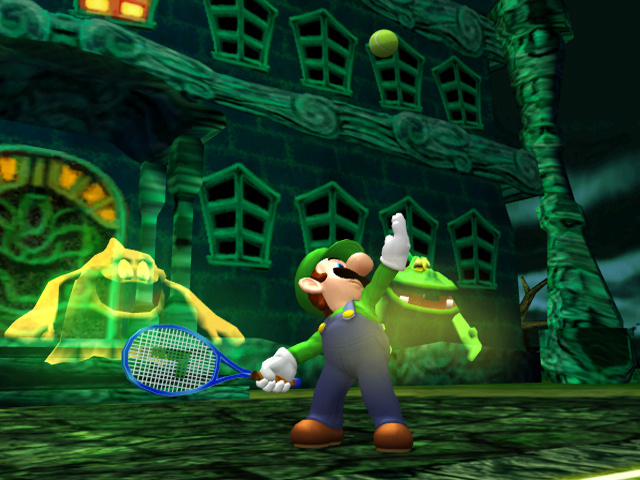 On DK Jungle Court, Kremlins will grab onto players to slow them down, while on Luigi's Haunted Mansion court ghosts drop banana skins and steal the ball. 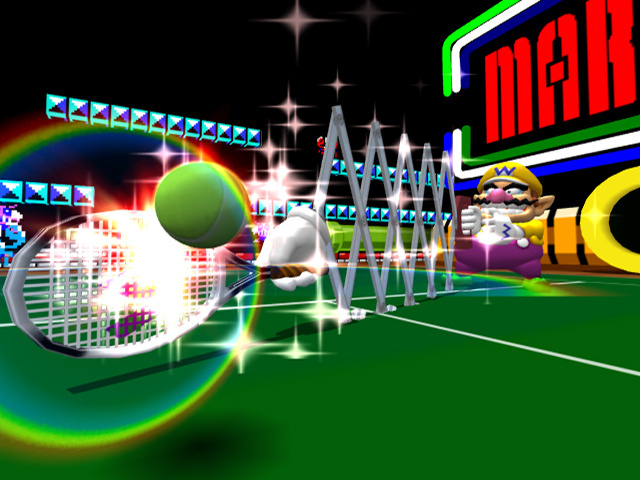 There are two different modes that you can play: Exhibition mode and Tournament mode. 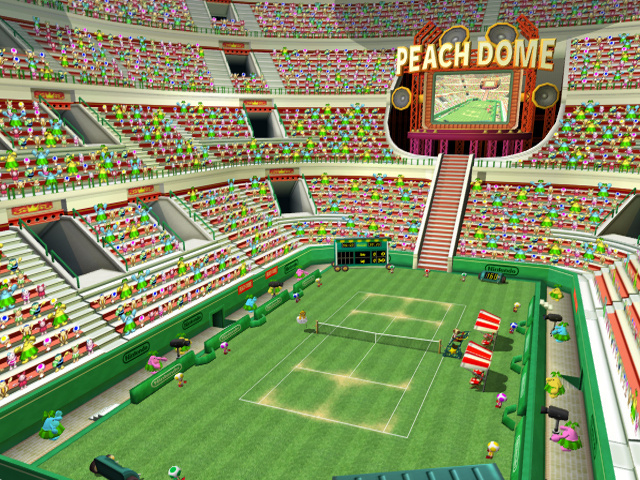 Exhibition Mode features standard tennis rules for both solo and doubles play where as Tournament Mode allows players to pick a category and try their best to reach the end of 3 increasing difficult tournaments. 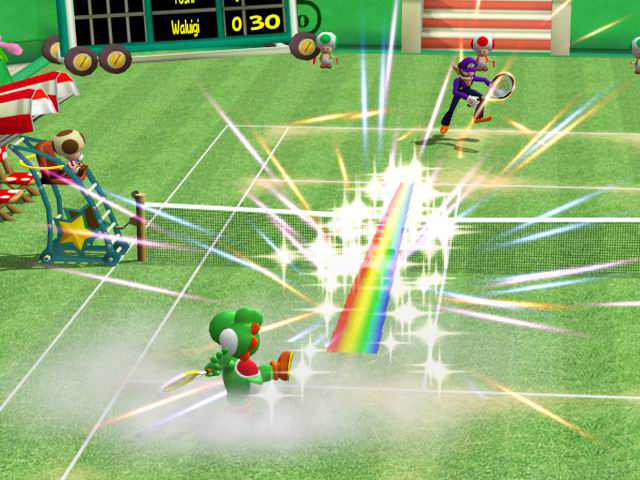 Players in this mode can unlock a variety of new characters, extra mini games and courses. 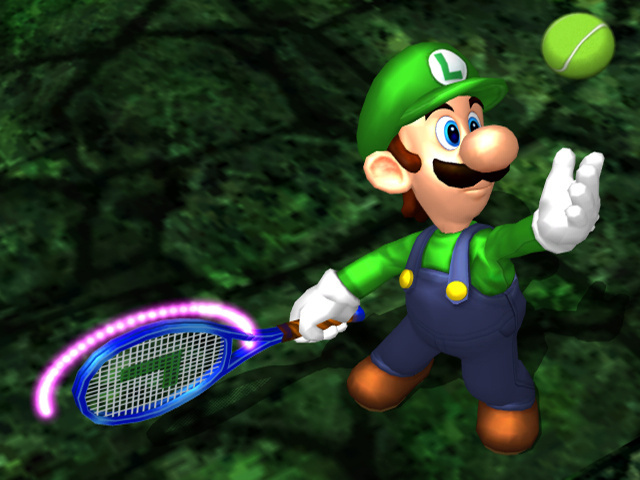 Character choice is an essential part of victory in this game. 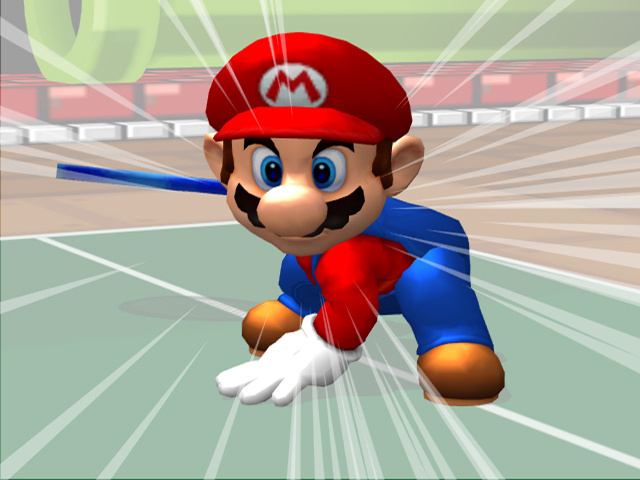 Not only do the different characters each have varying strength, reach and speed, but they also have a selection of special moves to get them out of sticky situations. 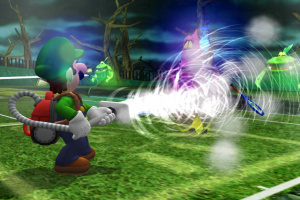 Each character as two special moves, one for offence and one for defence which can be charged up during games. 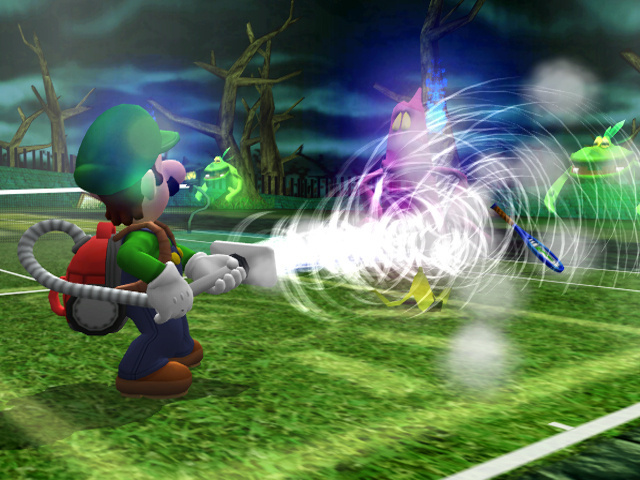 At certain points in a match a character will flash and pressing the X button will activate a special move. 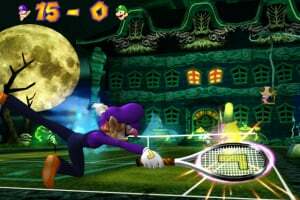 These range from moves which propel them across the court in time to stop a shot, to special serves which help ace the opponent. 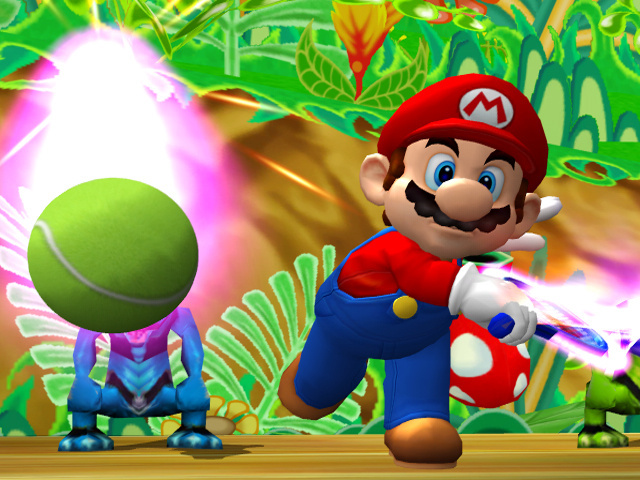 The game can also be enjoyed with or without the special moves as you wish! 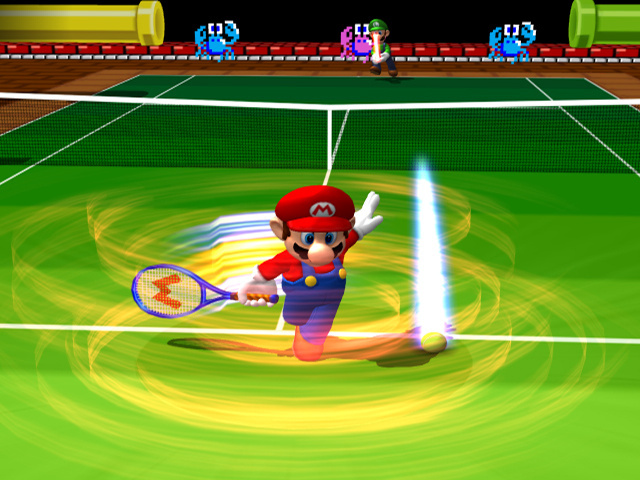 No Mario game would be complete without a multitude of extras and Mario Power Tennis does not disappoint. 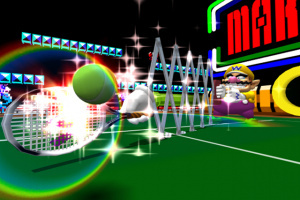 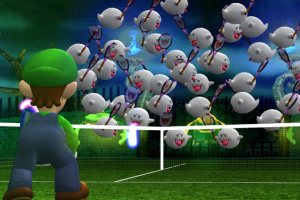 Players can hone their skills by taking on a selection of bonus stages, where they use their tennis skills to unlock extra features and additional games. 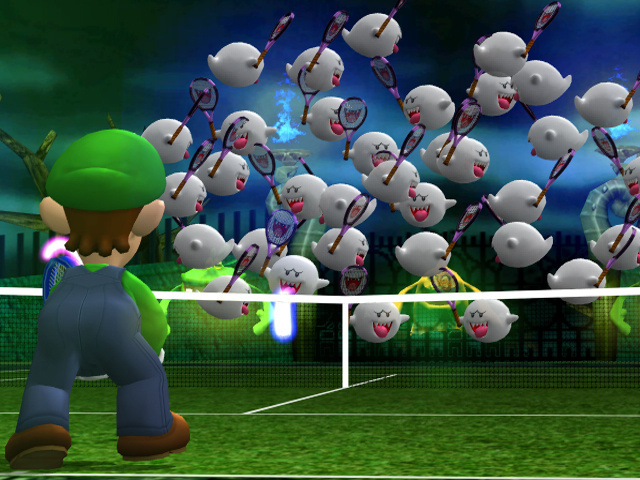 Hidden cups and extra characters can also be unlocked by completing single player modes. 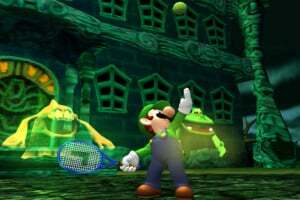 Multi player mode lets up to four players battle it out in singles and doubles matches making this game fun to play solo or with all of your friends. 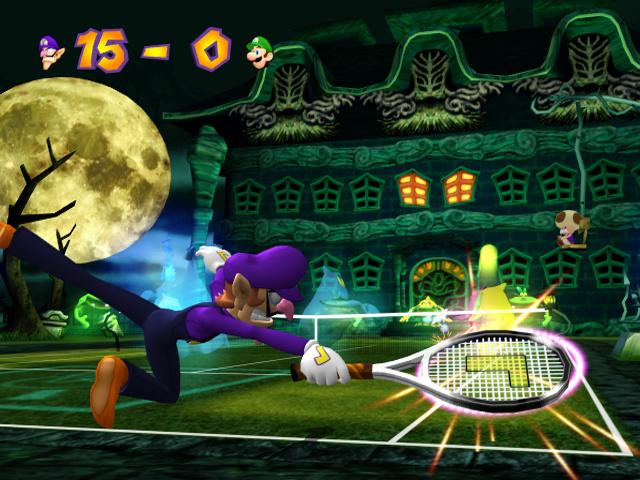 Additional characters will become available in multiplayer mode once they are unlocked in the single player game. 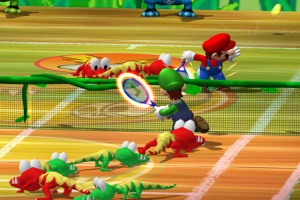 This game is def the best and i mean BEST mario sport game yet! 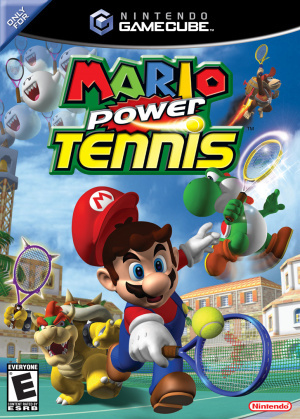 This was an awsome game i used to play it all the time. 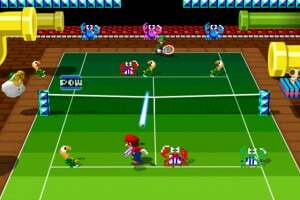 The best Mario Tennis game ever! 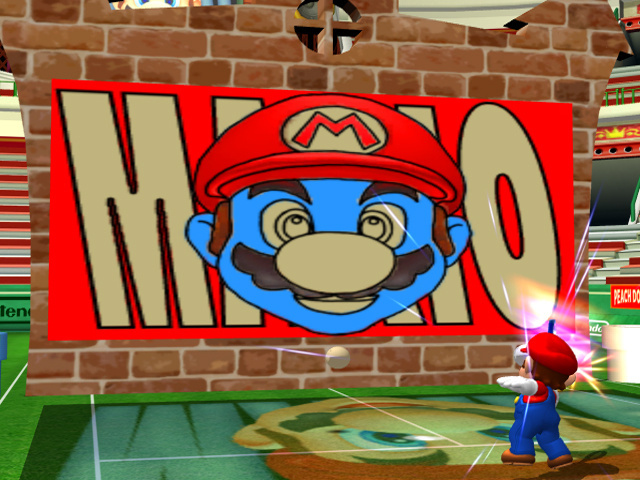 Too bad Open and Ultra Smash didn't get the message.